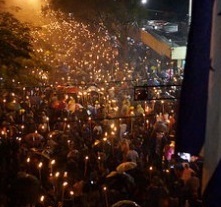 A Honduran spring is happening, led by young people mobilising over the social networks, who are flooding the streets with weekly torch marches against corruption and impunity. Honduran human rights defenders have raised alarm in recent years about the disturbing resurgence of state terror tactic of forced disappearances. Garifuna community radio stations along the Caribbean coast of Honduras are facing harassment from National Telecommunications Commission officials. Garifuna organizers fear the radio stations may face closure. With the Canjel Dam already under construction, one must wonder, why the threats against Berta Caceres and COPINH? The reality is that much more is at stake than just the small Canjel Dam. In fact, there are so many dam projects planned for the area it seems as if every river the Lenca people have carefully stewarded for generations will soon be dammed. 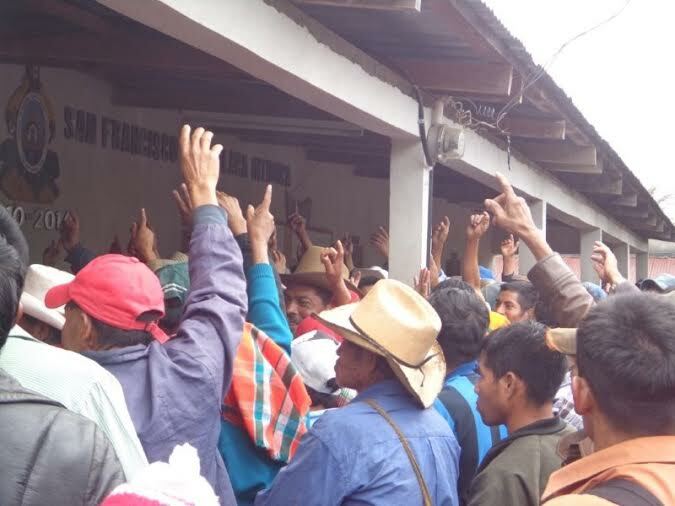 While the Honduran government continues its promotion of mining investment, communities around the country are voting against mining in open town hall assemblies. 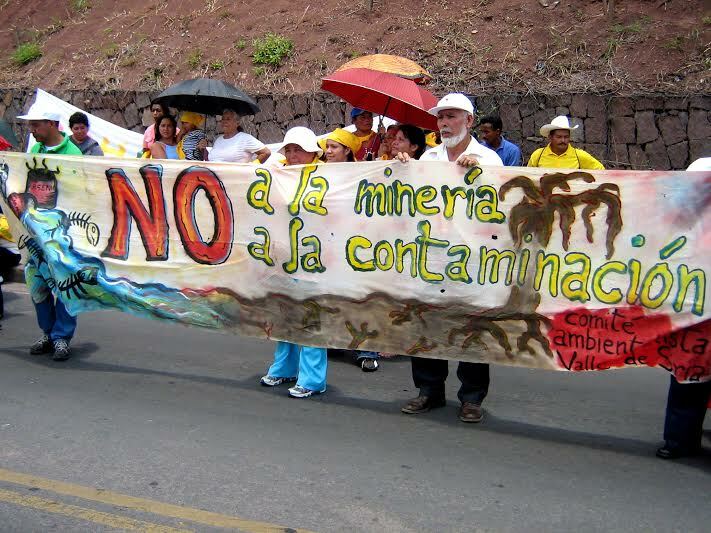 At least 10 municipalities in Honduras have now been declared territories free of mining. The Canadian government has been on a roll promoting the interests of Canadian extractive industry corporations in Honduras in the five years since democratically elected president Manuel Zelaya was ousted in a June 2009 coup d’état. Development aid, embassy resources and foreign affairs programming have all helped set the stage for new legislation conducive to Canadian corporate interests, and a new bilateral free trade agreement provides protection for their investments. 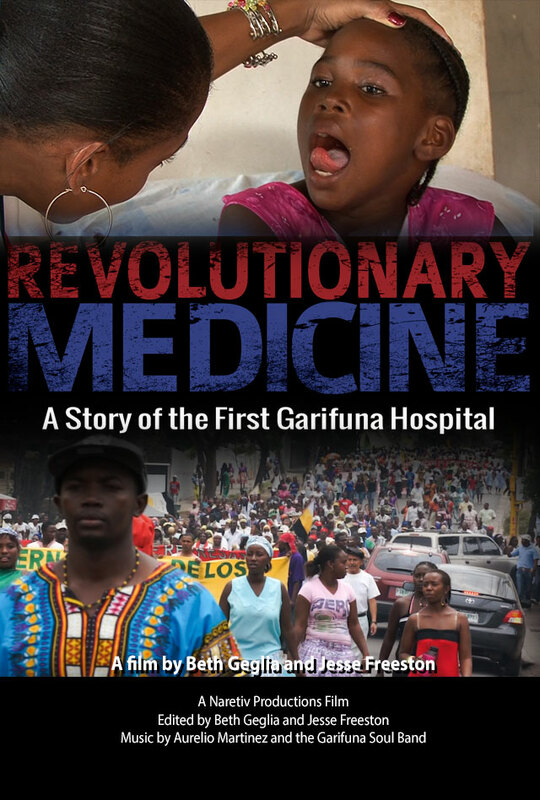 Rudolf Virchow, a German doctor and one of the founders of social medicine, once stated, “Medicine is politics writ large.” In telling the story of the first Garifuna hospital, Revolutionary Medicine renders this wisdom both tangible and feasible. It should be required viewing for all medical students around the world. And for the rest of us, amongst the increasingly marginalized 99 percent, Revolutionary Medicine should rekindle the oft-forlorn hope of a better, fairer world, in the purest vision of Marx. Six children from the community of Puerto Castilla, Trujillo, suffered severe respiratory damage resulting from an attack carried out on May 23, 2014 by the Honduran National Police, Military Police, and in conjunction with the Operation Xatruch III military unit. Hundreds of tear gas canisters were fired into the community in a haphazard manner as a means of dispersing a peaceful protest. After inundating the town with tear gas, the roughly 500 security force members entered the community, dousing anyone within reach with pepper spray. 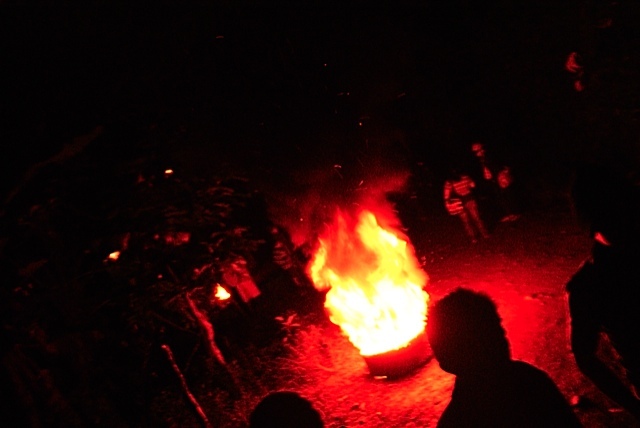 Every day and night for four consecutive months, the Lenca people of San Francisco Opalaca have been maintaining a 24-hour blockade and vigil at the entrance to their Mayor’s office, thus preventing the ruling party-imposed candidate from taking office. The Honduran government claims National Party candidate Socorro Sanchez won the Mayoral race in Opalaca during last November’s elections. However,? the people of Opalaca know otherwise.